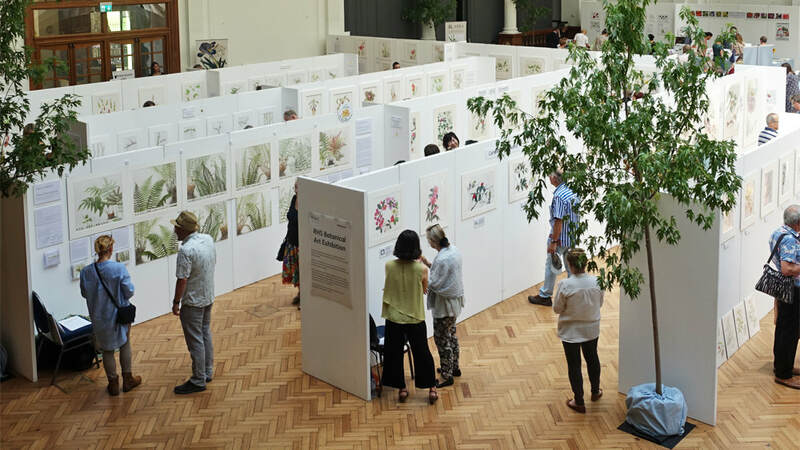 This is an overview of the RHS Botanical Art Shows in recent years (2007-2018). 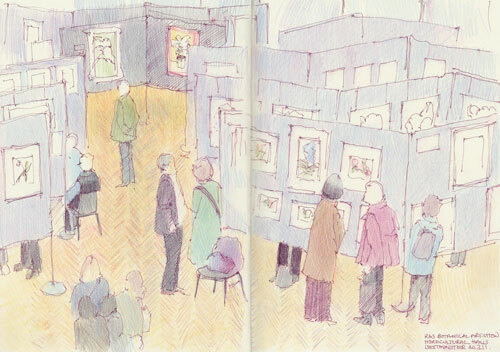 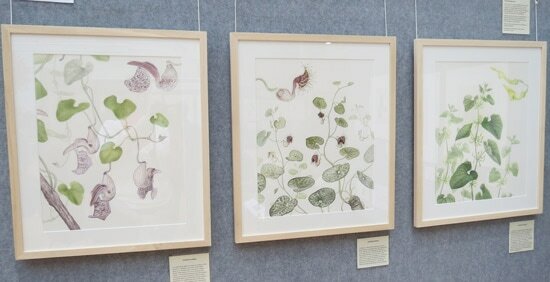 It includes images of the shows and the botanical art and illustration which won prestigious awards. 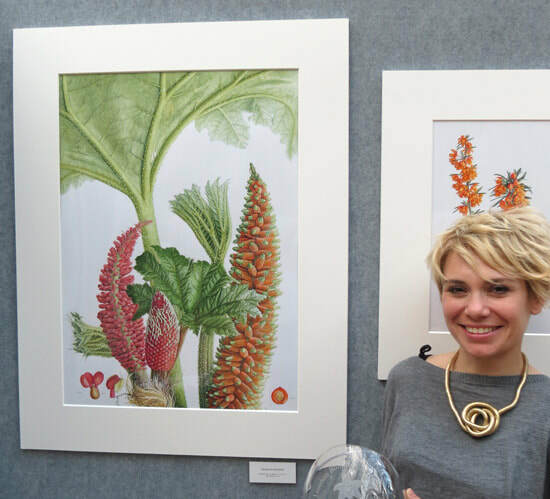 Below you can find a list of the awards and exhibitors at most of the past botanical art shows in London and Malvern back to 2007. 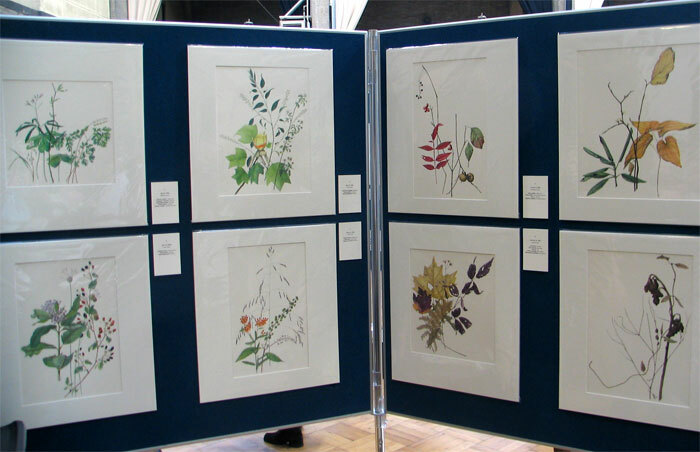 All the files listing exhibitors and medals awarded have been available to the public to download from the RHS website. 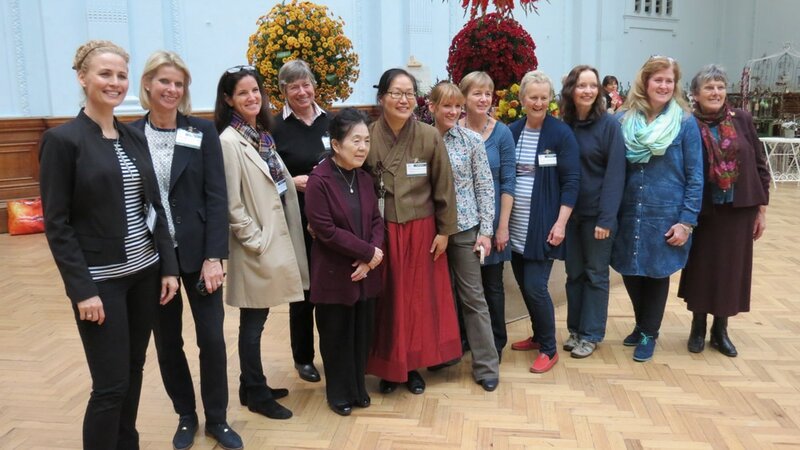 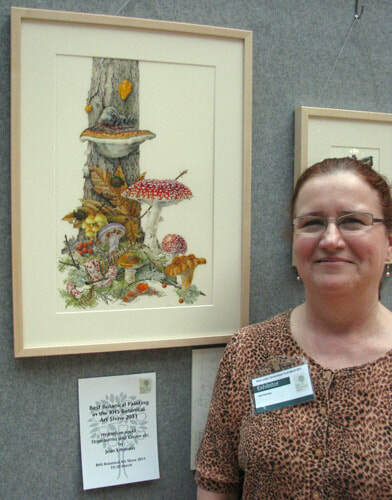 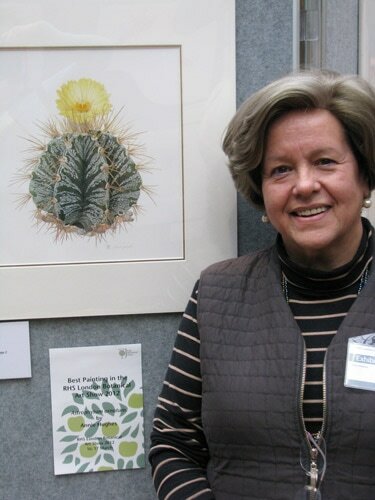 RHS Shows: Regulations and Guidance - This tells you How to Exhibit"
Banner Image: RHS Botanical Art Show in 2014 - the sunflower exhibit won an RHS Gold Medal for Sharon Tingey. 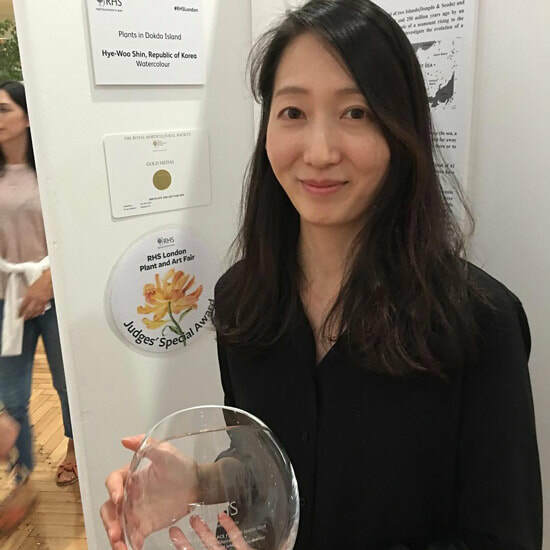 Hye Woo Shin (Republic of Korea) with her Special Judges Award - the very first! 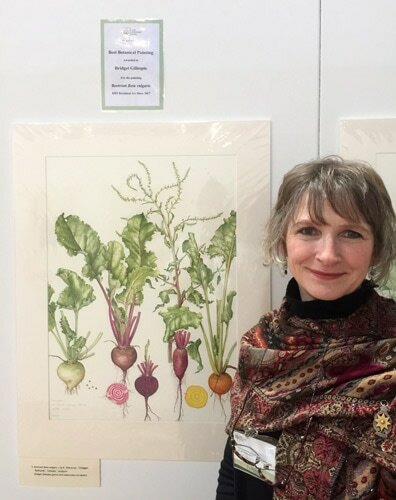 Bridget Gillespie is the artist who won "Best Botanical Painting" in the 2017 Botanical Art Show and the still for the video features her next to her painting of beetroot which won the award. 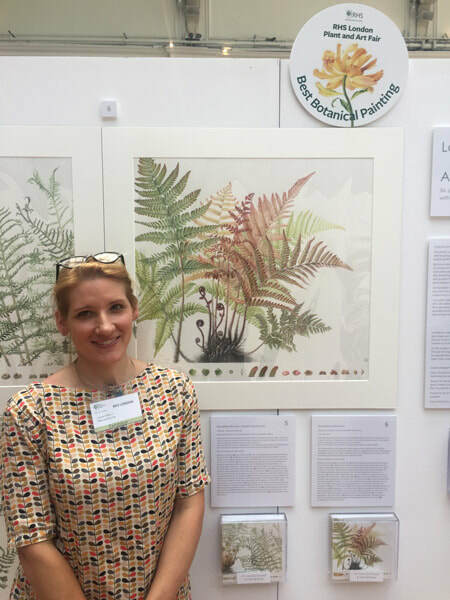 This was the year that the RHS introduced a show totally dedicated to Botanical Art. 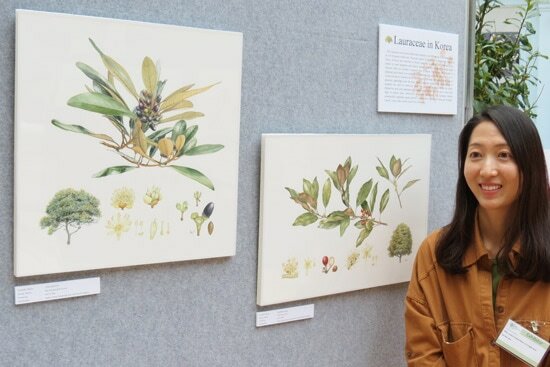 Gulnur Eksi - Plants from the Woods and Forests of Chile. 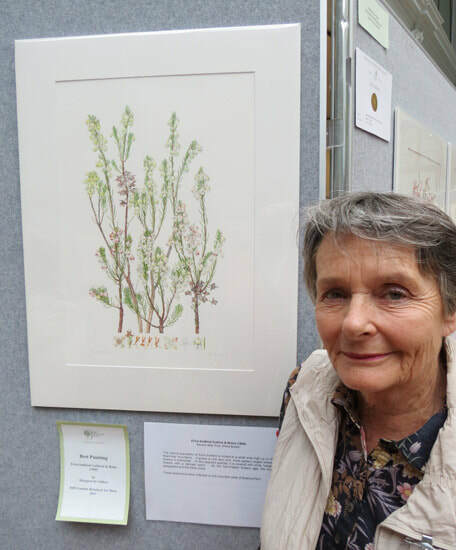 Visitors admired stunning new artworks in the RHS Botanical Art Exhibition in the Linden Suite of the Three Counties Centre. 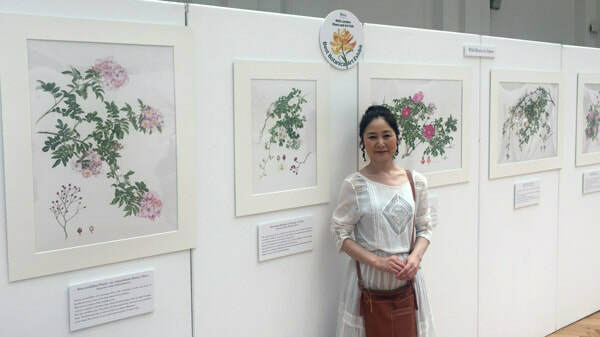 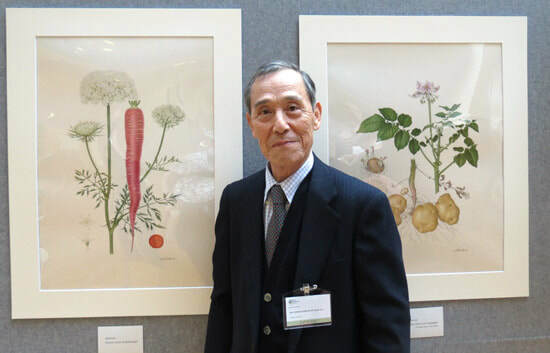 Featuring new work created by botanical artists from across the world, the show included exhibits from both previous medal-winners and first-time exhibitors. 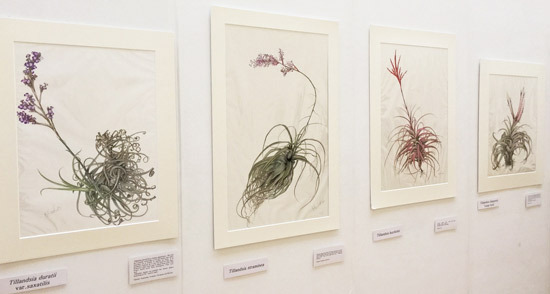 Subjects ranged from wild plants to greenhouse specimens, all depicted in watercolour, graphite and colour pencil. 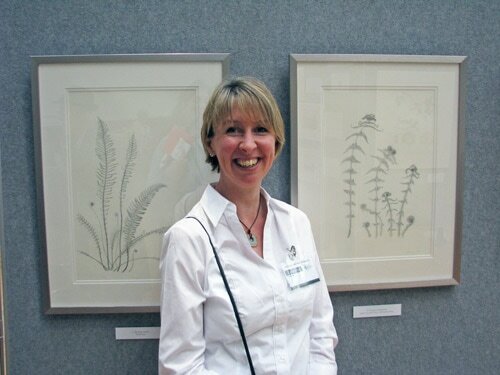 RHS Botanical Art Show 2013 - Selected Artists - List of 30 botanical artists from 10 countries selected for The RHS Botanical Art Show 2013 in London in April. 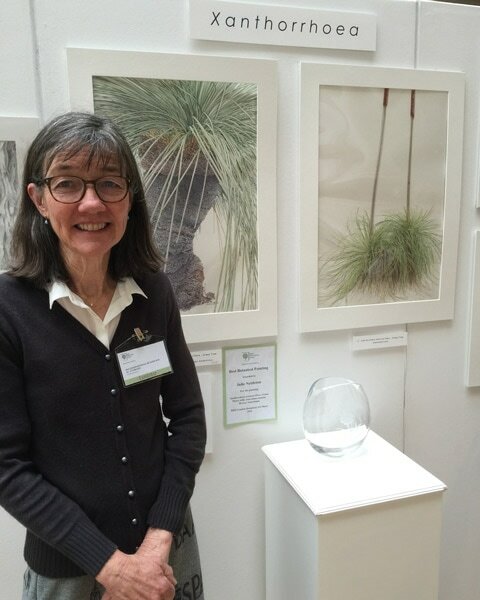 2013: Interviews with RHS Botanical Art Gold Medal Winners (18 Apr 2013) - Interviews with eight botanical artists who won Gold Medals at the RHS Botanical Art Show in April 2013.